Two late entrants in EPT Malta's €25,000 High Roller took the overall field to 88 and the number of active players on Day 2 to a hungry 42. Leading the way at the start of the session was former EPT champion and Ukrainian pro, Oleksii Khoroshenin, but a tough start left him in trouble as the session wore on. In fact, so tough was the early action that Khoroshenin was left without a stack by the close of the day, as was a sea of similarly talented pros, including: Ole Schemion, Davidi Kitai and Tobias Reinkemeier. However, as the mighty fell, an equally talented batch of grinders managed to navigate their way to the top of the chip counts before the end of Day 2. Leading the final eight when the tournament director eventually called time was Connor Drinan. 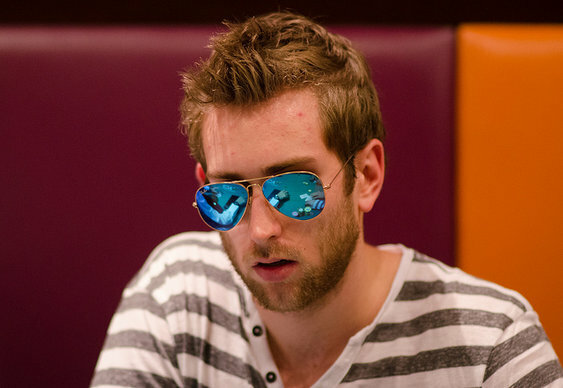 The American pro managed to bag up 893,000 chips to finish comfortably ahead of his closest rival and fellow American, Dani Stern. Also making it through to the final table was Martin Finger and Sam Greenwood who both have healthy stacks and more than enough ammunition to challenge the top two when the race for the €572,300 winner's bounty resumes later today.